The auto junk yard is the place to get old salvaged car parts to make cheap candle holders. 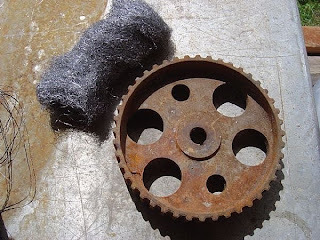 You'll find rusted pieces like the gears pictured below (I think one is a clutch plate?) are often free for the taking. Immerse the gears in a bucket of cold water. Use fine steel wool to remove loose rust and debris. I stop sanding when the surface feels "clean and smooth" to my bare hand. Rinse pieces well and let dry in a sunny spot for several hours. 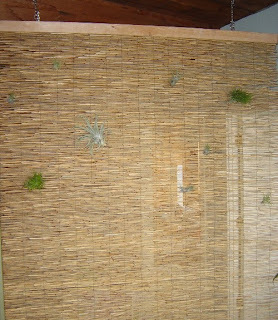 Spray with a clear coating of satin polycrylic on all sides; let dry well. Glue a round felt circle on any parts on the back which could possibly scratch a surface. In this case, I only had to cover a couple of sections. 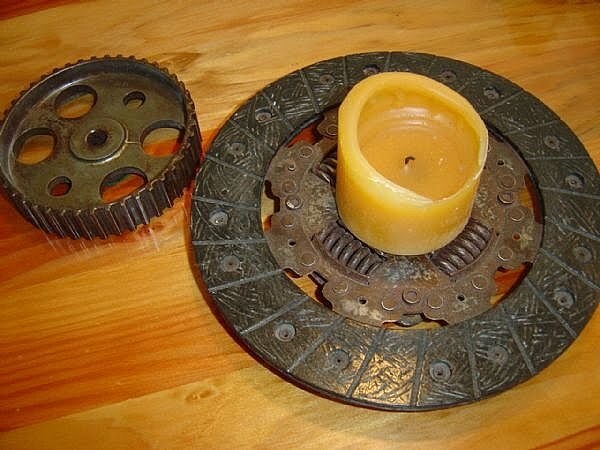 These may be cheap candle holders, but they're pretty much guaranteed to be one of a kind. Enjoy! Got something you'd like to show? 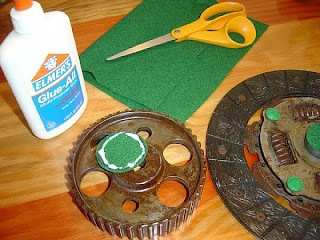 Go to Get Your Craft On Tuesday at Today's Creative Blog and Trash to Treasure Tuesday at Reinvented! Seriously, you re-purpose the coolest stuff. Always great to see what you're up to next ! These are so great. What an awesome idea! I love this! You're giving me great ideas!! Hey - It's Sam from Mom Undecided (the one with the messy room). I just wanted to give you a heads up that I'm taking some of your advice and you're blog will be featured on mine tomorrow (Thursday 5/20). Thanks for the comment! I really like these~they have such cool details. They're not just pretty to look at, but interesting, too.